Services will be held January 19th, 2019. Public Viewing will be at Martin Mortuary, 550 North Ave., Grand Junction, CO from 11:30 am – 1:00 pm. Graveside Service will be at Orchard Mesa Municipal Cemetery, Grand Junction, CO at 2:00 pm. A room has been reserved for those who would like to visit after the service at Golden Corral, 1100 Independent Ave., Grand Junction, CO from 4:00 p.m. – 6:00 p.m.
Born April 29, 1943 – January 7, 2019. Emma Jean was born in Muskogee, Oklahoma April 29, 1943. 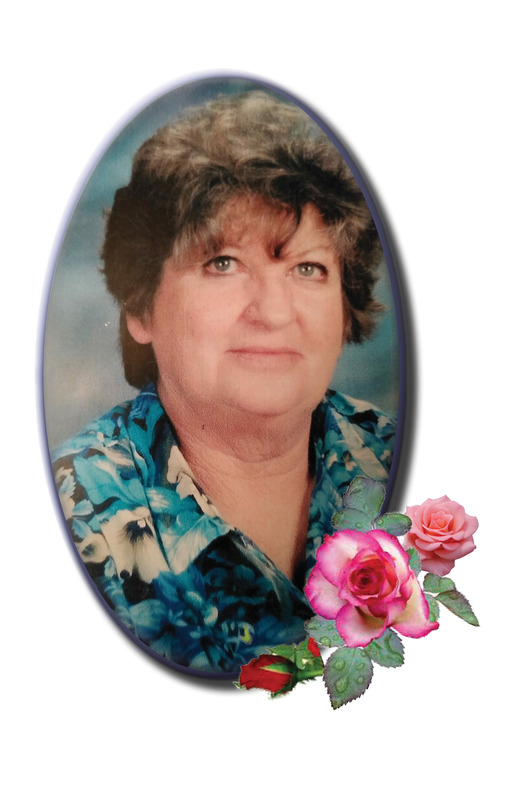 She passed away January 7, 2019 at Montrose Memorial Hospital. Emma Jean’s favorite color was Red. Her favorite flowers were Roses and favorite song was “The Old Rugged Cross”. Emma Jean lived in many places but settled down in Paradox when she had met her husband Dave Chamberlain. They were married April 17, 1960 in Nucla, CO. They had three daughters, Carol, Treasia and Sue. They lived in Paradox, Uravan, Idaho and in Bedrock throughout their life. 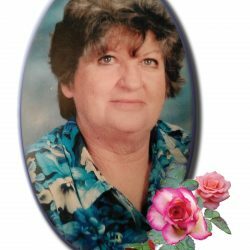 She was a school bus driver, teacher and janitor. She had worked at a dairy in Bedrock, Colorado. Emma Jean loved to cook and worked at multiple cafe’s. Emma was an excellent cook and made the best fried chicken. She enjoyed fishing, painting, gardening, going out for outings in the mountains and especially loved having her family around. Emma was preceded in death by her husband David Chamberlain, parents Emily & Shirden Blood, sisters Nadine Blood & Shirdean Wilson and grandchild Joshua Chamberlain. Emma is survived by children: Carol Lynn, Treasia Pfifer (Phil) & Sue Williams. Grandchildren: Steven Robb (Amber), Jenifer Robb, Clinton Impson (Ciera), Misty Anderson (Jason), David Hansen (Melissa Peck), Lucos Schultz, Robert Vreeland, John Vreeland (Megan). Great-grandchildren: Stefany Robb, Patrick Robb, Kara Cooper, Westin Impson, Mistaya Vreeland, Lexi Vreeland, Brayden Williams, Tanner Anderson, Addison Anderson. Great-great grandchild Colette Robinson.